A very close game with the All Blacks just managing to hold off the Springboks in the dying minutes of the game to secure a win. We didn’t have the “dot in the sky” last night, but the DTV signal was great. It wasn’t until I took the camera for a walk in the morning that I realized the reason might have been the tower on the skyline. 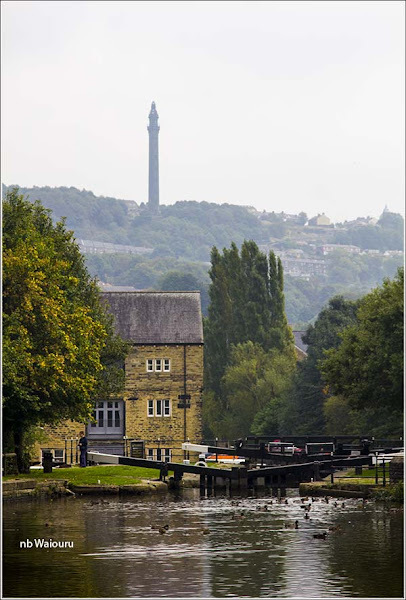 The three locks at Hebden must only be attempted with the permission of the CRT lock keepers. I spoke to them during my morning walk and booked a passage for 12.30. Six boats had either been up or down before our departure. I mention this now and the reason will become apparent later. The first thing we noticed was the locks are now longer. Additionally, our handspike is no longer required. 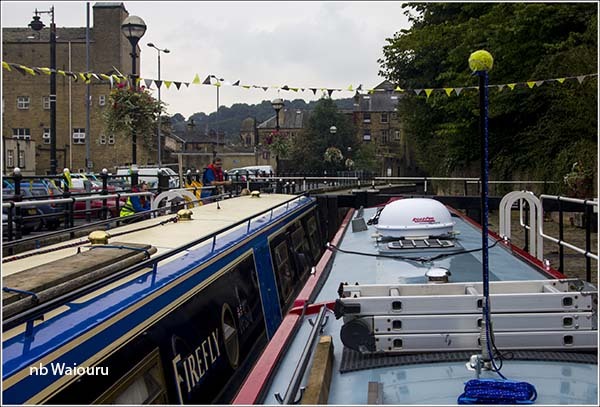 We were met above the second lock by the CRT lock keeper who explained the process to be adopted for the next lock. 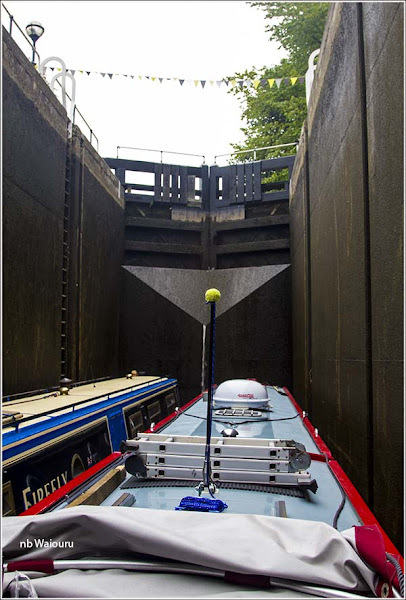 At 6 metres this lock (3/4) is the deepest on the canal network. It appears the original canal alignment has been altered. 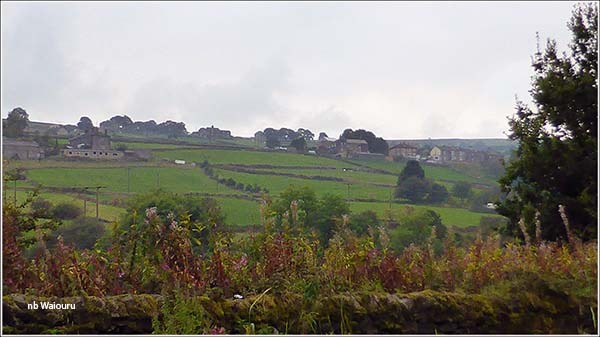 I suspect it was the widening of the A58. 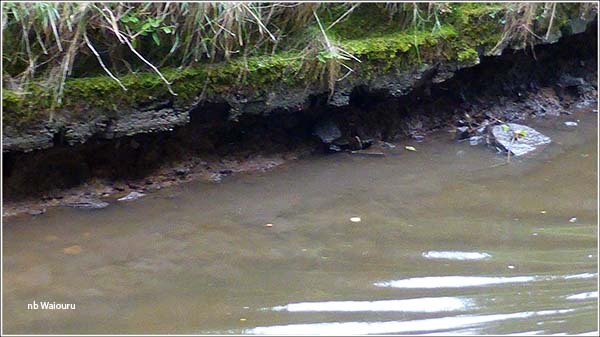 This necessitated the removal of one lock and the conversion of a bridge to a tunnel. 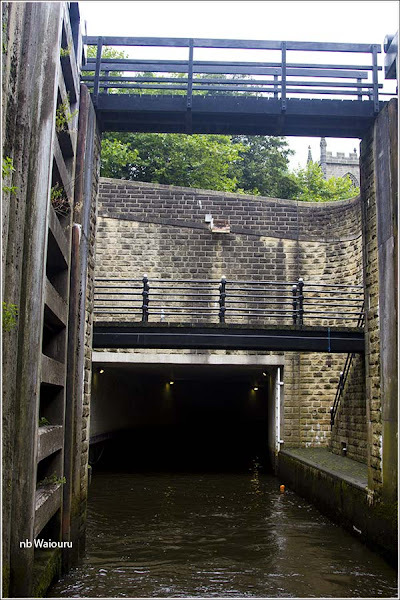 There’s no towpath through the tunnel. 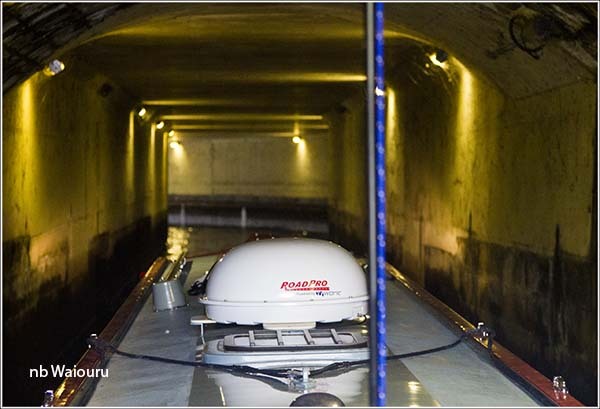 The tunnel exits at the base of the highest lock gates you will find. Just to compound things slightly, the tunnel has a 70deg bend at the lock end. I hope they start with the ground paddles rather than gate paddles! The lock keeper had us rope up at the bow and stern before slowly filling the lock. It seemed to take a long time to get to the top and the chamber must hold a sizeable volume of water. The last piece of advice from the lock keeper was that the pound above was low and to stick to the middle of the channel. Low was an understatement! Waiouru bounced on the bottom for several miles with me disappearing down the weed hatch to discover what new possessions we had acquired. 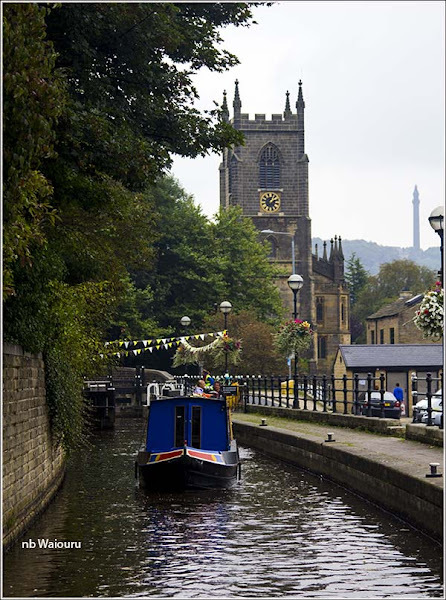 It was with some relief that after several kilometres of dragging the bottom we reached Edward Kilner Lock and discovered the water level above the lock was normal. 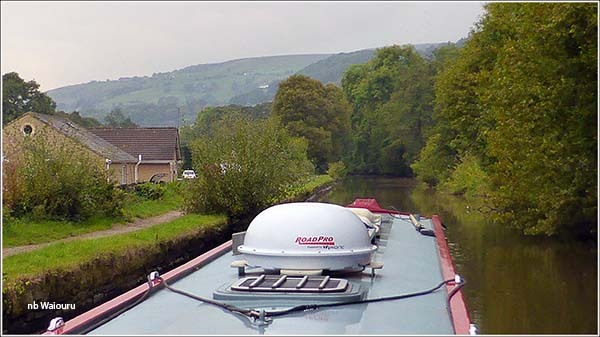 Three further locks and we arrived at Hebden Bridge finding a good mooring just beyond the aqueduct over the River Calder. Hi Tom, Thanks for the news re the ABs' win - I knew they'd played at the Caketin in Wellington from seeing a friend's post on Facebook, but no news about who they played and whether they won. I didn't like the look of that exceptionally deep lock and the bottom scraping passage didn't sound too much fun either. It's good to experience these things vicariously, I say! Ray (Firefly NZ) showed me a free website where you can watch most live world sport. I watched the game on the laptop!